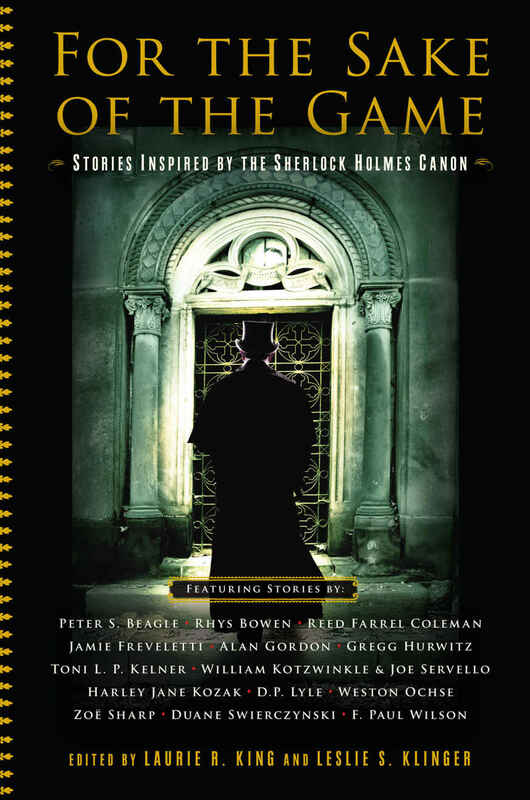 Laurie R. King and Leslie S. Klinger have edited four popular Holmes-themed anthologies: A Study in Sherlock (2011), In the Company of Sherlock Holmes (2014), and Echoes of Sherlock Holmes (2016). Their newest features contributions from a stellar list of authors, including Peter S. Beagle, F. Paul Wilson, William Kotzwinkle and Joe Servello, Duane Swierczynski, and Gregg Hurwitz. Publishers Weekly says it presents a wide range of genres “from cozy to horror;” here’s a snippet from their full review. For the Sake of the Game is the latest volume in the award-winning series from New York Times bestselling editors Laurie R. King and Leslie S. Klinger, with stories of Sherlock Holmes, Dr. Watson, and friends in a variety of eras and forms. King and Klinger have a simple formula: ask some of the world’s greatest writers ― regardless of genre ― to be inspired by the stories of Arthur Conan Doyle. Leslie S. Klinger’s previous books include In the Shadow of Edgar Allan Poe and The Annotated Watchmen; Elizabeth Crowens interviewed him for Black Gate last year. For the Sake of the Game was published by Pegasus Books on December 4, 2018. It is 264 pages, priced at $25.95 in hardcover and $12.99 in digital formats. The cover was designed by Christine Van Bree.